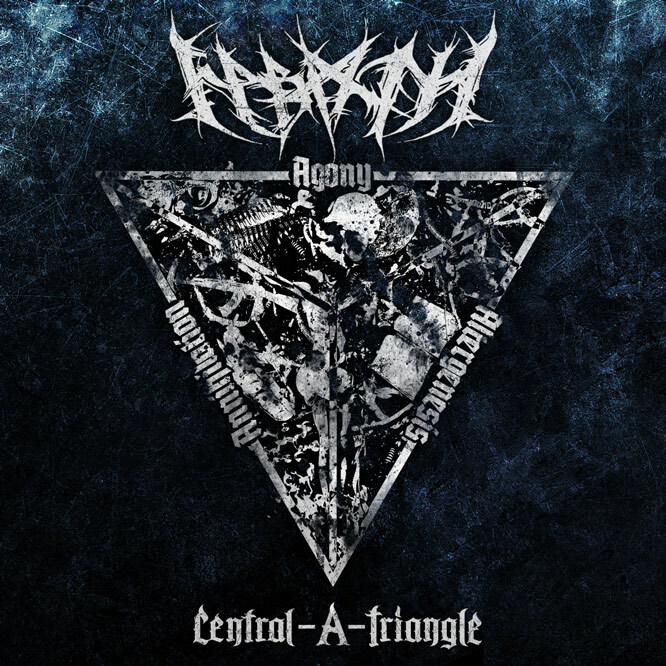 "Central-A-Triangle" is the second full-length album of black metal band Nabaath. It was recorded at several studios in Russia and Ukraine. The final version includes songs from period 2008-2011. The bassist/vocalist Warkhoros, guitarists Zork and VX, as well as drummer Discharger were participated in work on the album. The tracks "War Blasphemy", "Tyrant's Reborn", "Detonation 1961" and "Обречённость на Тьму (Doom to the Darkness)" were recorded with session drummer Kir. Mixed by Shaddar in Blacklight Studio and Warkhoros in Tyrant Studio. Mastered by Warkhoros. Produced by Nabaath. Album's design was made by Annexare Studio and Animartwork. The record was released on the 22nd of December 2011 and subsequently has been well received by critics. "Central-A-Triangle" is available on digipak and for free download at the band's official website.